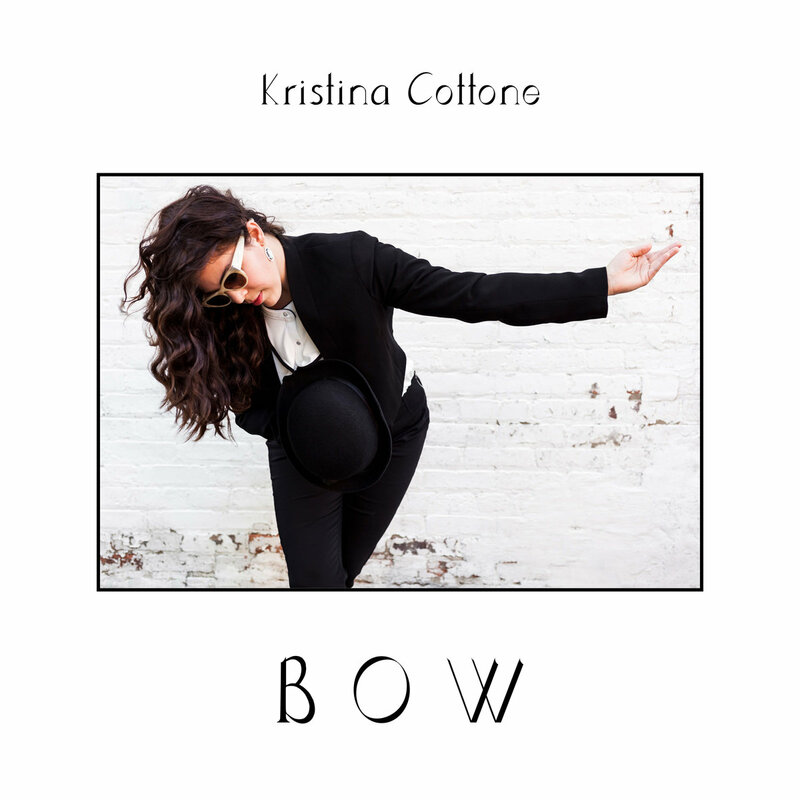 EP Review: Kristina Cottone, "Bow"
This delightful five-song E.P. comes from Kristina Cottone, who in the Chicago area (and parts elsewhere) is known as the lead singer for Honey & The 45’s. Here, she steps out on her own with the aptly-titled Bow and it’s quite a joyful sound within these tracks. The quiet groove of “Bad For Me”, along with Ms. Cottone’s sultry and soulful voice is immediately enticing; the funk-oriented strums of the guitar and her cutting-loose vocals gives this song all it needs for impact and in a wonderfully odd twist, the melody and tempo switches to a more pop vein in the middle before turning back into the slower jam vibe. “BFF” is a clever piece of soul-pop with a slight-ska rhythm and deadly punches of horns, guitar and her voice adds to the instruments – a strident, catchy moment; “Boston Boy” is rhythmically sleek and uses complex vocal effects which works in building up the dramatic tension in the track and “Ukelele Summer Love Song” is a sweet, somewhat old-fashioned piece with a delightful melody and a heart-warming vocal delivery. Five songs are a fine introduction and this is a fine debut solo E.P. Kristina Cottone has the obvious vocal chops and talent to belt out a song in numerous styles and that’s more than good enough criteria. That the songs she offers here have charm, tunefulness and memorability is even better.